Necrotopia is part of the Displaced City series. Urban population growth has reached a point where building land is scarce and precious; where citizens were forced to question even the land left to graveyards. Furthermore, going to graveyards to pay their respects has turned into an unforeseen problem for global citizens. 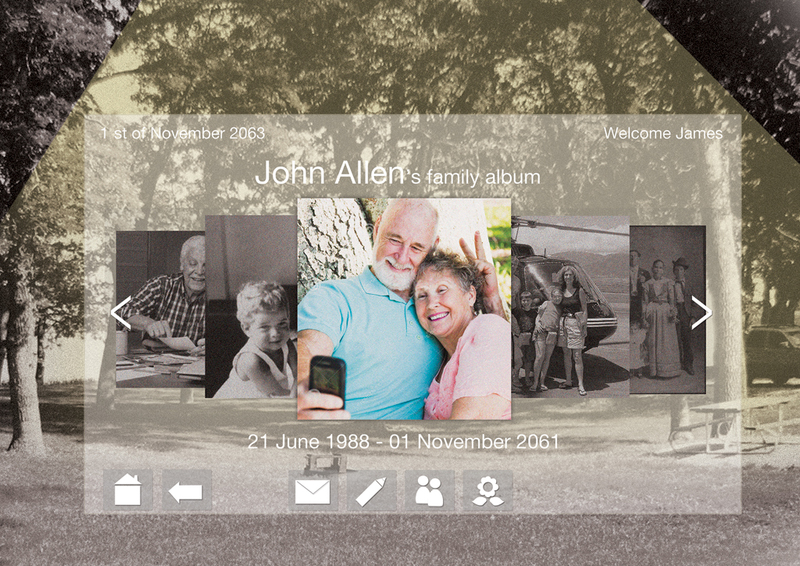 Meanwhile, the social media interfaces have become personal memory logbooks not only for the living, but also for those who wish to pay their respects to the dead profiles. Ultimately, these developments have led humanity to take a big step toward dealing with their physical and digital remains. 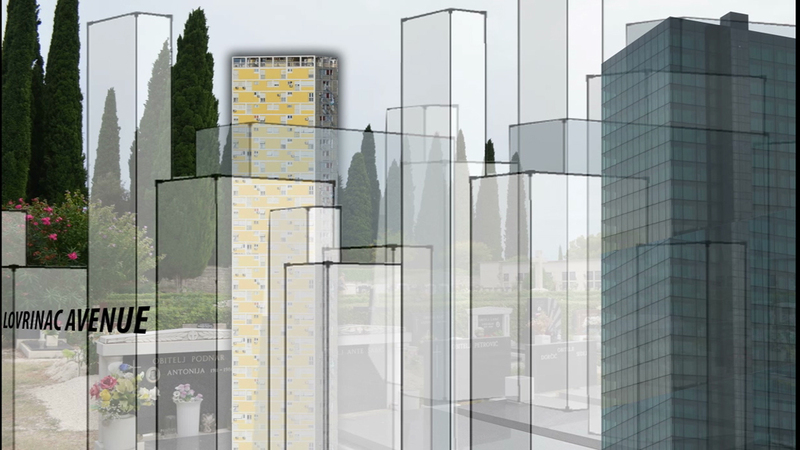 They invented the Necrotopia system, in which the physical body and digital data are transformed into ‘Hybrid Remains’, each the size of a small diamond. These digital diamonds are then transported in space shuttles to outer space, where they become part of the “World Wide Dead Database”. From here, a new type of satellite known as the “Space-yard” transmits this digital dead data back down to Earth, where it can be accessed in a new type of cemetery found all around the world. 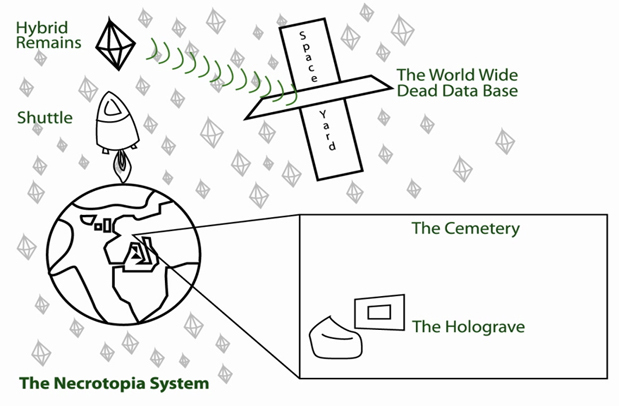 The World Wide Dead cemeteries consist of “Holograves”, holographic user interfaces allowing memory access from any city in the world. Here one can pay their respects to their lost ones, leave messages and send offerings such as digital flowers and candles. 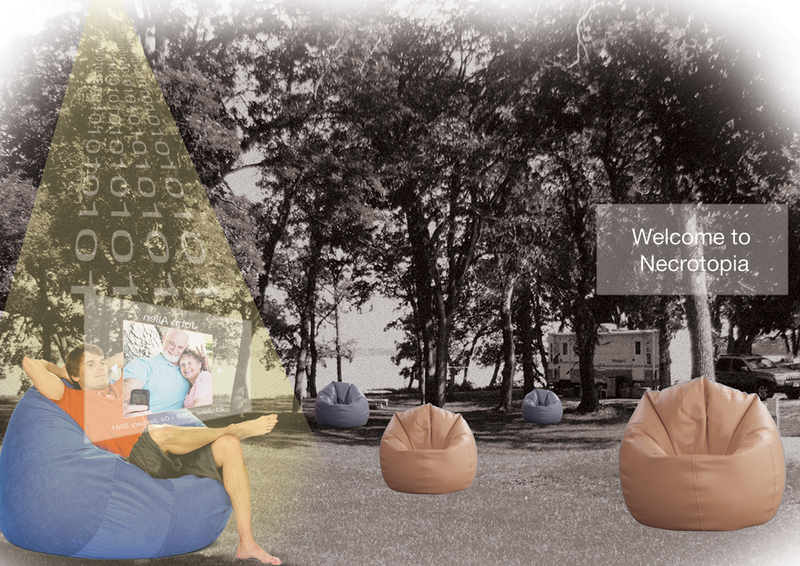 The Necrotopia system, as any other system, may be subject to various forms of hacking : an unauthorised person may attempt to access another person’s information ; one may attempt to modify another’s memories ; companies such as Google and Facebook may choose to censor your digital data according to their commercial interests; and some memories may be deemed inappropriate for showing in different cultural contexts. 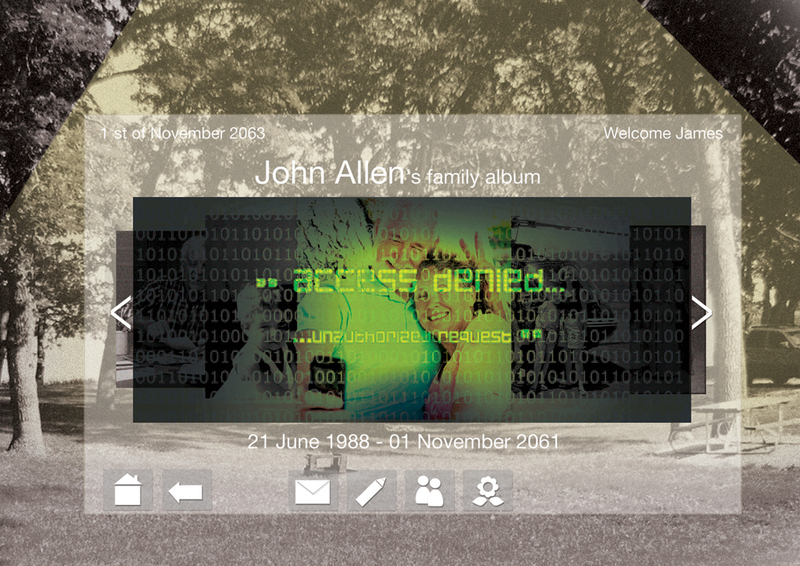 However, the Ministry of Memories with its network of Memory Police will ensure your hybrid remains rest in peace.